As you can see, they are allowed to edit_posts and edit_others_posts but they cannot edit_published_posts. This means that they can edit posts that are in Draft and Pending status. Now, I want to restrict them to only be able to edit pending posts. So, they won't have the ability to touch draft posts (unless if they are the author of the post). Unfortunately there is no capability like edit_pending_posts... there should be. This is actually not hard. To add a new capability, call WP_Roles->add_cap(). You have to do this just once, because it will be stored in the database. So we use a plugin activation hook. Note to other readers: All of the following code is plugin territory. * Add new capability to "editor" role. 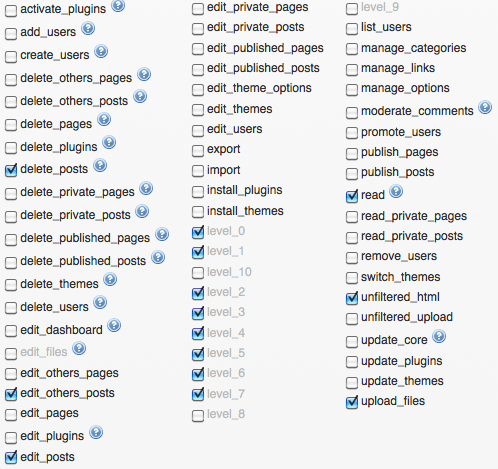 … because that is how WordPress checks if an user can edit a post. 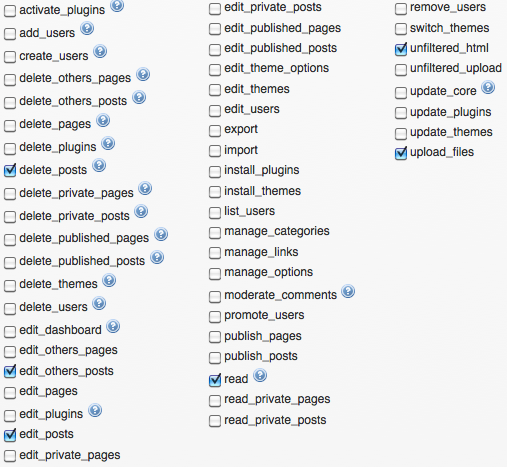 Internally, this will be mapped to the edit_others_posts capability for other authors posts. So we have to filter user_has_cap and look into our new edit_pending_posts capability when some wants to use the edit_post capability. I have included delete_post too, because this also a kind of an edit. * Allow editing others pending posts only with "edit_pending_posts" capability. * Administrators can still edit those posts. Not the answer you're looking for? Browse other questions tagged php user-roles editor capabilities or ask your own question.